New Year....New garden ? 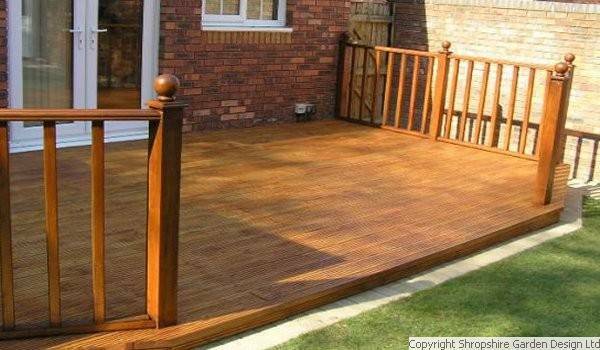 - It is that time of year to start thinking about getting your garden ready for the Spring. 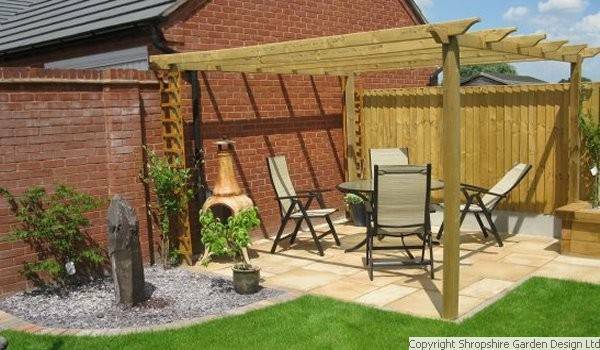 Whether you are looking for a new fence, a new patio or a complete Shropshire garden makeover, then we are hear to help with your Shropshire garden design and shropshire landscaping projects. 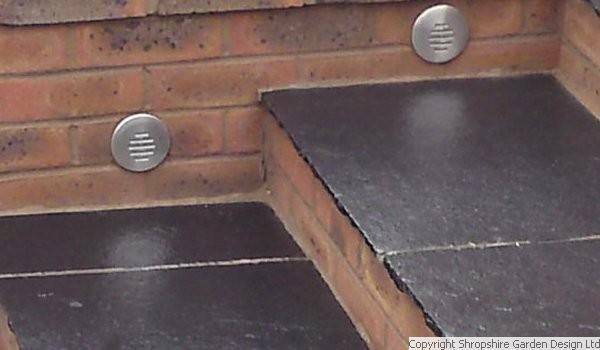 We offer a FREE consultation and quotation to all Shropshire garden customers. 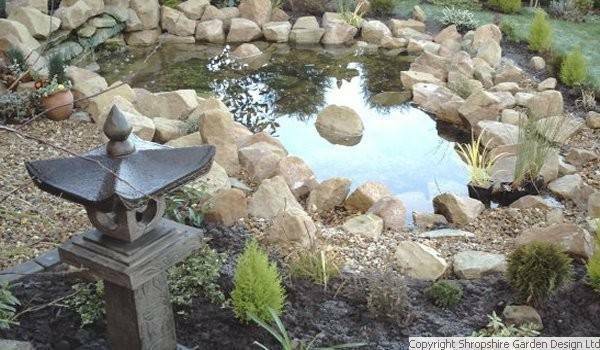 Shropshire Garden Design Ltd is a professional garden landscaping company based in Telford, Shropshire. 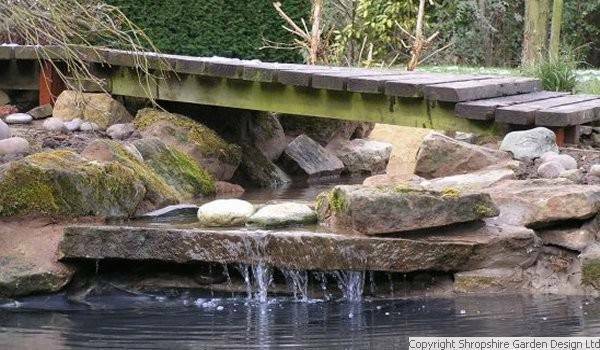 We have been trading for over 12 years and provide a full range of garden services and Shropshire landscaping solutions in Telford and Shropshire. Some people know exactly what they want which is great but if you dont then dont worry. 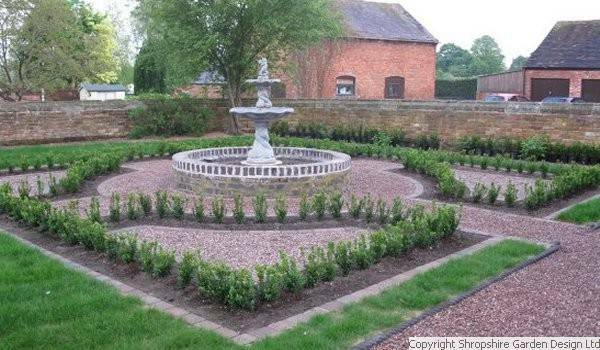 We can guide you through the process and offer ideas from our extensive Shropshire garden landscaping portfolio to give you a range of options to think about and choose from. 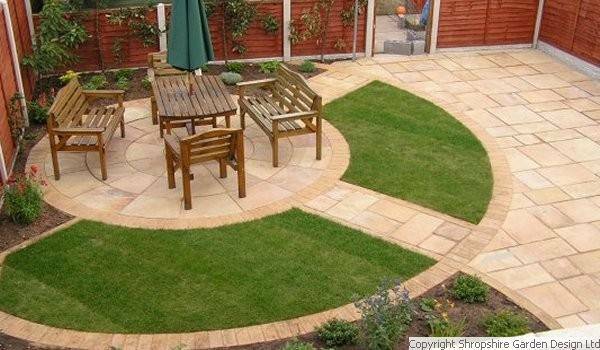 Whatever the shape, size and levels of your garden, we can provide professional consultation, garden design and build services to meet your garden landscaping needs. 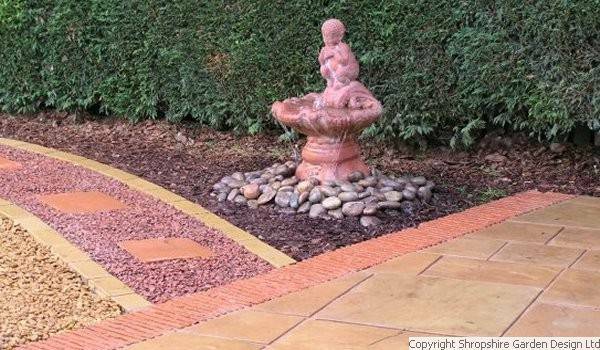 Please note that Shropshire Garden Design Ltd offer a fully professional service. 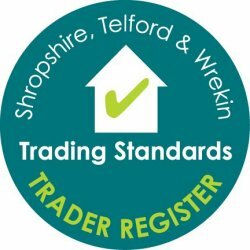 We are a limited company, fully insured, and registered on the Telford & Wrekin Trader Register. 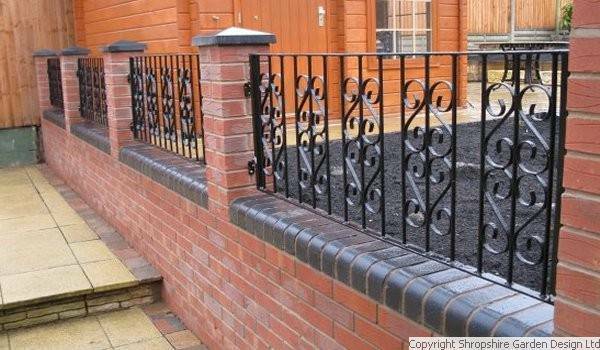 If you are looking for a cheap quote, sorry we are not the company for you. 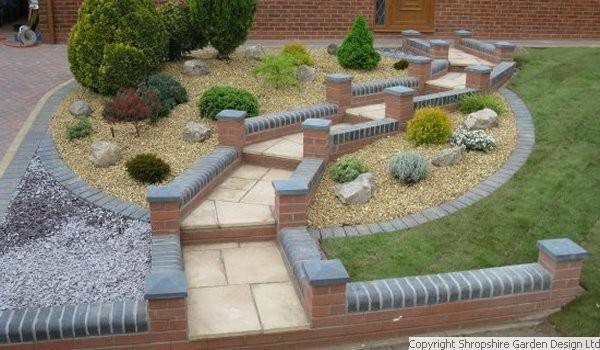 If you are looking for a shropshire professional landscaping company with high quality workmanship from a dedicated team who take great pride in their work then we would be happy to quote for your garden landscaping project. 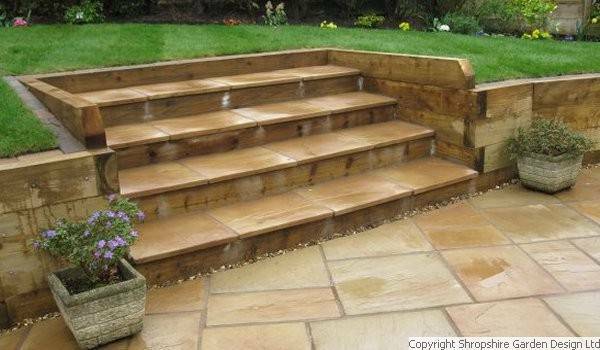 We provide full written quotations detailing every aspect of the garden work we are to undertake for you. to see what people thought of the service they received from us. 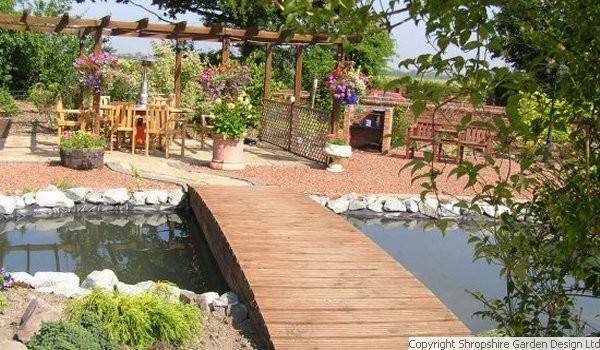 If you are looking for a complete Shropshire garden makeover	then look no further. 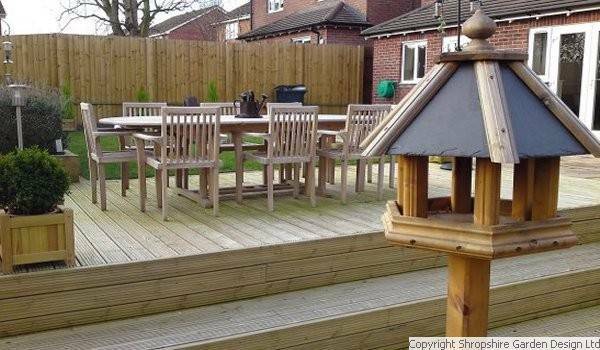 We can clear your old garden of unwanted materials, then design and build you a new garden for you to enjoy. Jill and I would like to place on record our sincere and grateful thanks to you all for the fantastic job you recently completed for us. Our crumbling paved rear patio and steps were replaced, raised, extended and transformed - the Indian Stone looks amazing - and the old front paved drive and pathway were removed and replaced with stunning paviours and edging stones. 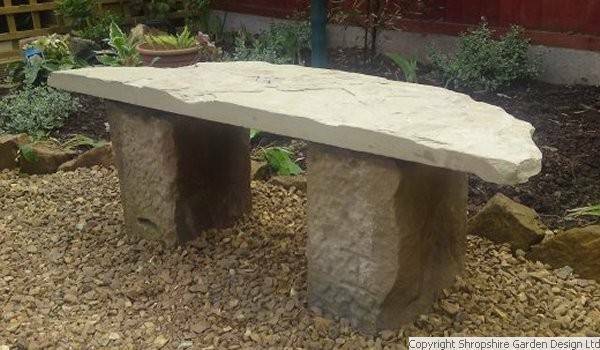 Whilst not included in the original budget and work schedule, you also removed the moss-ridden front lawn and replaced this with gravel and a focal point raised bed made from sleepers. It all looks amazing and has been the source of many admiring comments from friends and neighbours. 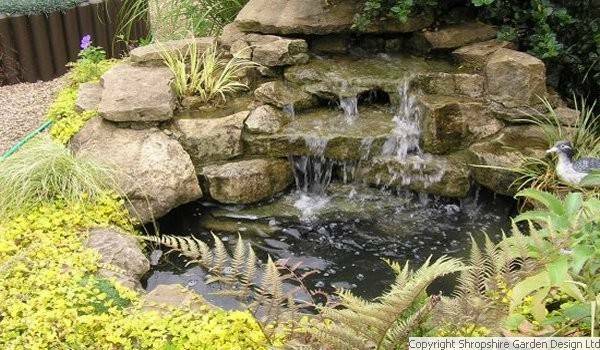 For more and more people, time is precious and so low maintenance gardening is a must. 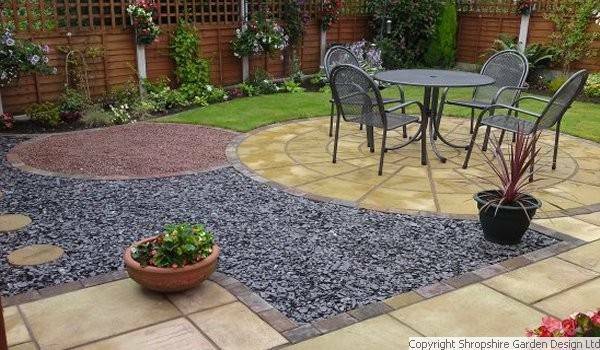 Over the years we have developed a range of landscaping techniques and recommended materials to provide Shropshire gardens with low maintenance garden landscaping solutions that will give you more time to put your feet up and enjoy the garden rather than having to work in it. 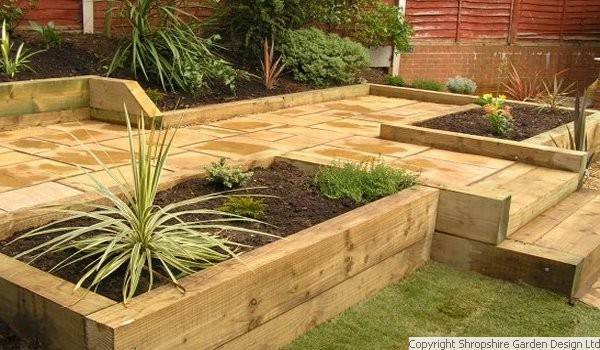 Raised beds using sleepers are a great way to keep on top of your shrubs and plants. 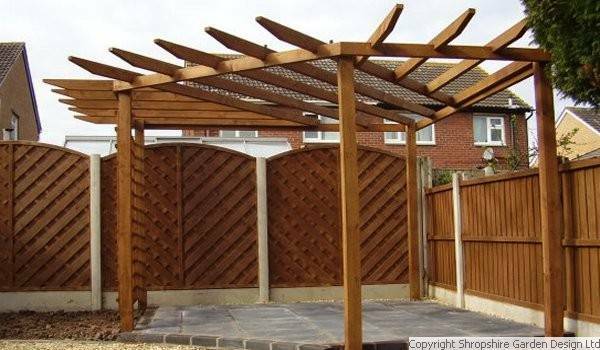 The structures adds dimension to your garden and are better for the back! The last few years has seen a rise in new developments around Shropshire particularly in Telford. 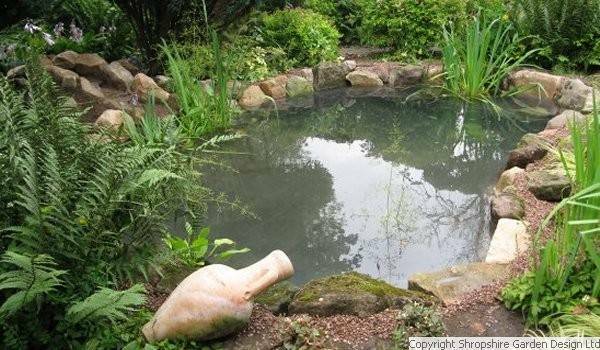 Some of these new Shropshire gardens can be small with poor soil and drainage and can offer additional challenges with limited space. 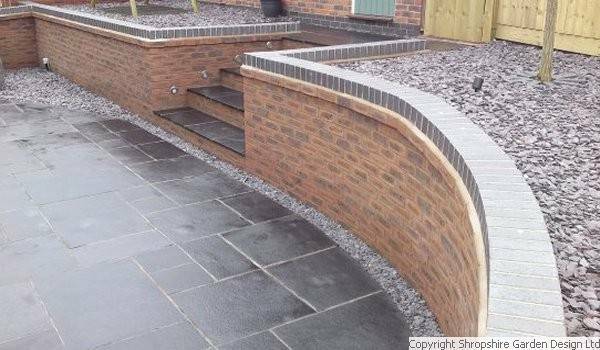 In the last few years, we have worked extensively on these new build developments across Shropshire including contemporary landscape design projects, and can offer you ideas and insight into maximising the space you have to create a beautiful outdoor living space. 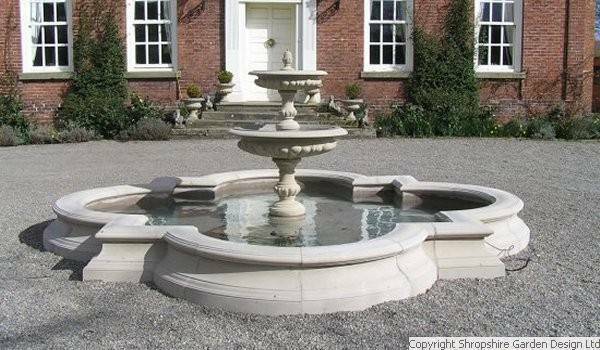 Feel Feel free to browse through the website, a good starting point is our shropshire garden landscaping portfolio. 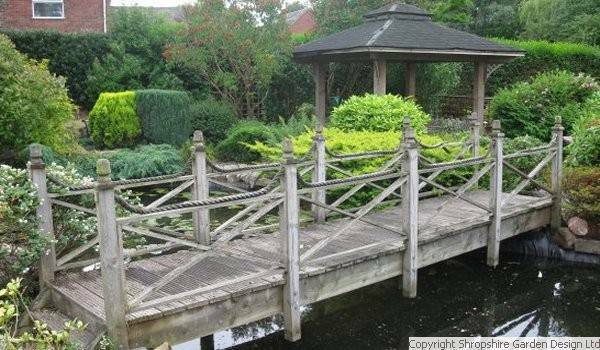 We have tried to include as much variety as we can in our portfolio to give you as many garden ideas as possible but we are always open to new ideas and suggestions if you have an idea for your garden which may not be shown here. 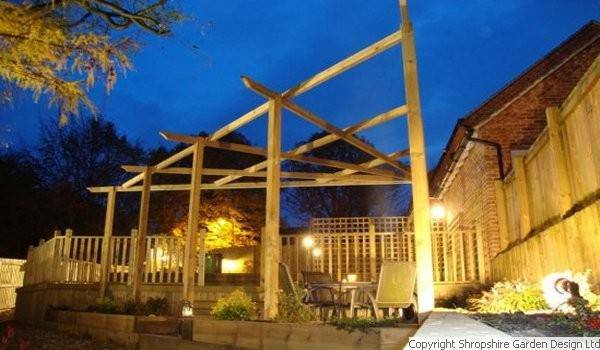 To see our most recent garden landscaping projects and maybe to give you some additional garden ideas, click latest garden landscaping projects. 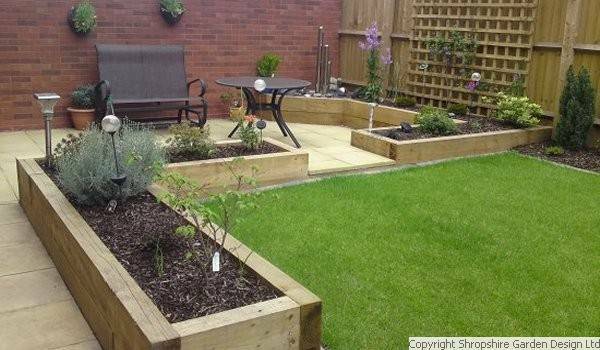 Whether you are looking for a Telford low maintenance garden or a Shrewsbury garden makeover, we can help. 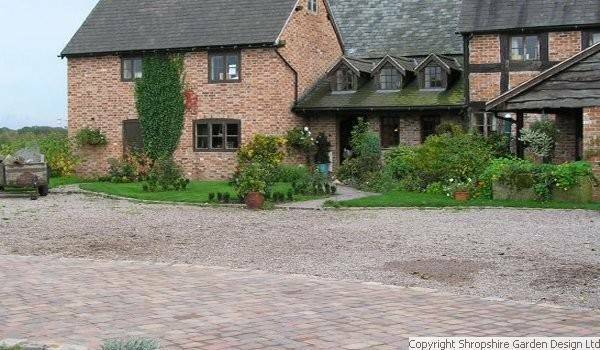 We serve the majority of Shropshire including Albrighton, Bridgnorth, Edgmond,	Ellesmere, Lilleshall, Market Drayton, Much Wenlock, Newport, Priorslee, Shawbury, Shifnal, Shrewsbury, Telford, Wellington, Wem, Whitchurch,	Shropshire.